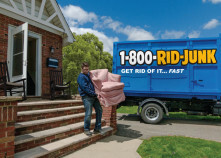 1-800-RID-JUNK is your local junk hauling service choice for removal of all types of junk. You can count on us in whatever situation you’re experiencing to provide exceptional service for cheap junk removal prices. 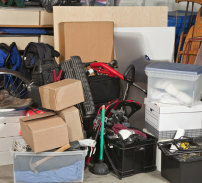 We handle the whole house from the attic to the basement and all junk hauling services in between. Whether you’re spring cleaning, downsizing, or getting ready to move or remodel, sometimes you need extra help. 1-800 Rid Junk provides estate cleanout services and has the experience you can rely on while working on a massive reorganization project. 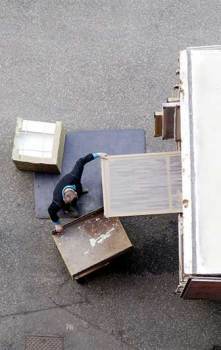 We have state of the art equipment and a highly-trained removal team that will help us get the job done fast. We know that possessions might be outdated or unused, or maybe there’s so much that you can’t handle getting rid of it all yourself. When this is the case, let us do the work for you. After the death of a loved one or client, you may need estate cleanout services. 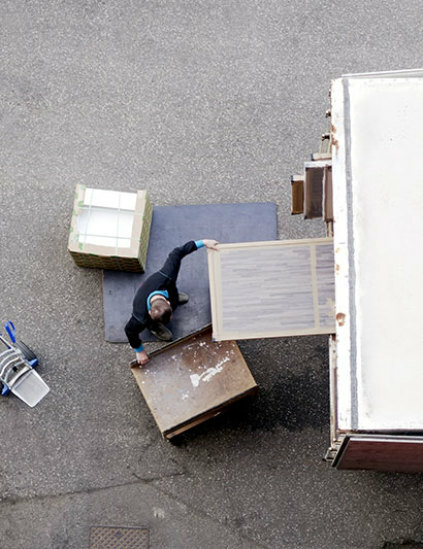 Even though we’re called 1-800 Rid Junk, we know that possessions belonging to your loved ones, friends, or clients aren’t junk; they’re important reminders that need relocation. Items can accumulate over time, and when a loved one dies, you might wonder what to do with it all. Valuable possessions can be passed on to relatives, given away, or sold, but what about when it comes to the rest of it? 1-800 Rid Junk answers this question because we understand that when a loved one dies it can be an overwhelming task to clear the estate of furniture, appliances, and keepsakes. Our business provides estate cleanout services in Bergen County, NJ so that you can focus on grieving and other matters after the death of a loved one. You have enough to deal with after the death of a loved one, let us do the heavy lifting when a house in Bergen County, NJ needs estate clearing services. To get a better idea of some unique types of junk that we remove at 1-800-RID-Junk, read our categorized list below or give us a call at 1-800-743-5865. That old truck in the driveway isn’t getting any younger, and the days when you might have fixed it up are long gone. Your brother’s dilapidated camper doesn’t seem to be going anywhere either, but it’s so large and bulky, you don’t really know how to go about getting rid of it. When you contact us to deal with your old car, we’ll help you understand why we’re one of the largest names in junk removal. No matter how bulky or unique your item, we have the skills and experience to remove it safely and efficiently. These items can be especially tricky to remove without professional help. Rely on 1-800-RID-Junk for capable junk removal near you. We are happy to help you get rid of items for spring cleaning, moves, and other large-scale projects. Contact us at 1-800-743-5865. We will assist you to get rid of your unneeded heavy items, ditch the trash, and get you going to your new place. We also work closely with trusted local moving companies that we can recommend to help you get your things safely to your new home. DE-CLUTTERING YOUR HOME OR OFFICE? We’ll be sure to rid your home and your mind of unneeded appliances, furniture and junk. on removing your junk over the phone.